Fresh and cool for a summer treat. Blend all ingredients in a food processor or blender until smooth and creamy. Pour mixture into popsicle molds or 3-ounce cups. 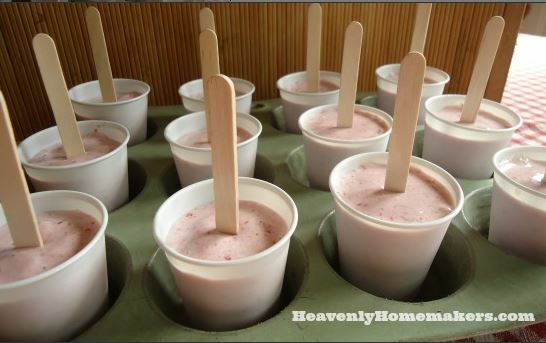 If using 3-ounce cups, place a popsicle stick into the middle of each. Freeze for about 2 hours before serving.